You always find a few tat shops when on holiday but on our trip to Crete last month we came across one that sold lots of beautifully smelling natural skincare. The brand that caught my eye the most was one called Aphrodite, they offered a whole range of different products with different properties and in different scents for the hair, lips, facial and body skin. The woman in the shop gave me a bit more insight on the products aswell as a few small samples and a book with more information. After trying the samples over the couple of days we had left in Crete, I knew I had to return back to the shop on the last day to pick up some products with the leftover money I had. Even though there were an incredible amount of things I would’ve loved to have bought, I went for the “Face Spa Kit” and one of the many lovely body lotions they had. This included a day cream, night cream, eye cream, exfoliator and lip balm. The one I have gotten the most use out of surprisingly is the eye cream as I’ve been applying it both day and night prior to the facial cream. It claims to be anti-ageing and hydrating and although I can’t say I can actually see much difference, I can definitely say the skin around my eyes feels a lot more nourished and bouncy since using it. My eyes water a lot due to being super sensitive so usually the skin is dry and slightly cracked around them. I haven’t been shy about admitting to suffering with medication induced acne around my jawline recently. Since using these natural, olive oil based products my skin has really calmed and the blemishes have really slowed down in coming to the surface so much. I think the main reasons are the day and night cream in the kit. The day cream targets moisture and radiance and the night cream is for nourishment and firming the skin. I can definitely say my skin looks and feels a hell of a lot more all round healthy. The redness has drastically subsided and my skin just feels so soft and a much nicer texture. I can’t say it has helped with the appearance of scarring but the next skincare review I’m doing should hopefully help with that so keep your eyes out for that post in early July! The ones I’ve got the least use out of are the facial scrub and lip balm but I think it’s mainly because I have so many alternatives of them to use. That being said, the lip balm is Raspberry flavoured and smells incredible. It’s also insanely long-lasting and protects the lips really well so it’s definitely one I’ll be using for a long time to come. With the facial scrub, I know it’s designed to be gentle but I didn’t really feel like it did much for my skin at all. The exfoliant particles are so fine that it felt more like a face wash with an added extra rather than a scrub. With how clogged up my skin gets from just every day things like build up of oil and makeup, I need something quite abrasive to clear all the junk out and this just doesn’t cut it for me unfortunately. This product is definitely one to pass on to someone else. 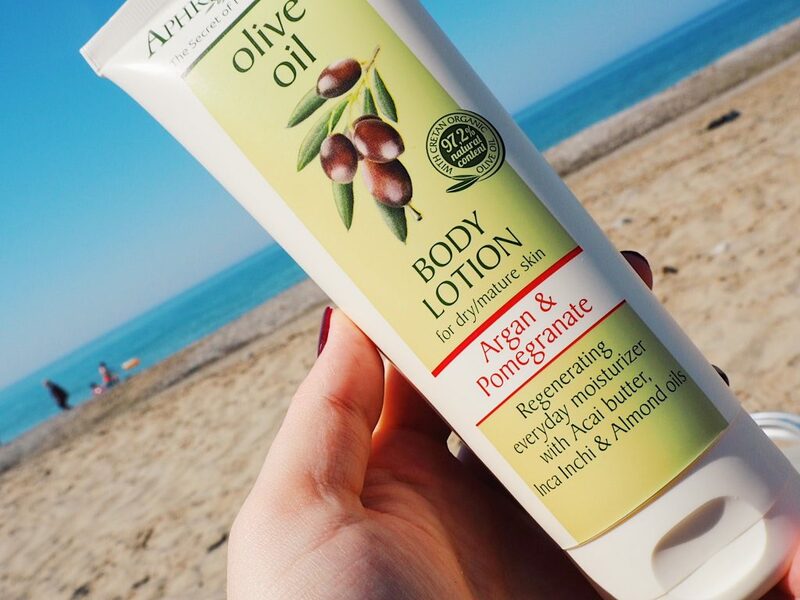 There were multiple wonderful lotions on offer from Aphrodite but I just had to go for the argan and pomegranate body lotion as it smelt so strong and gorgeous. It’s the right mix of fruity and sweet but I wouldn’t say it’s a scent that everyone would enjoy as it’s not the most subtle. I am a sucker for anything with argan oil in as it’s hugely moisturising with the added bonus of pomegranate in this one, which is a great skin regenerator and repairer. Although this lotion smells and looks the part, I wouldn’t say after a months use that it’s done anything amazing for my skin. It has kept it moisturised well and does hold the scent for a few hours after application. That being said, for €8 what more can you really expect? Unfortunately upon checking the Aphrodite website, I don’t think you can actually order their products. I still thought this would be a fun write-up regardless as I’ve been wanting to try some more natural based products to see what they’d do for my problematic skin. 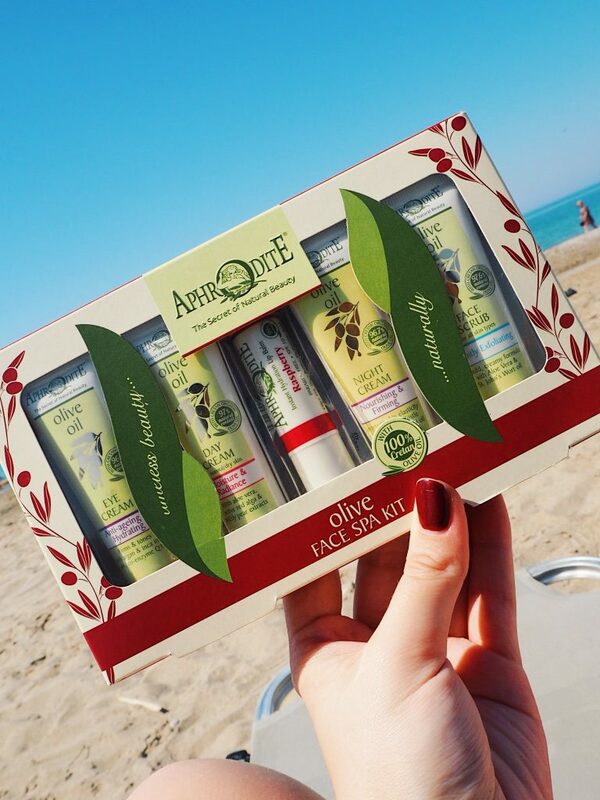 If you’re ever in Greece I would definitely keep an eye out for their facial skincare if you want real nourishing, natural and calming products! "The Rare Beauty Natural Skincare Launch!" This brand sound fab, if ever I see them on my travels i’ll defo pick something up! I totally agree with you on the face scrub front though – i like a scrub that really exfoliates! Anti-ageing eye cream, that’s just what I need! Haha, we’ll have to get you some Andrew! 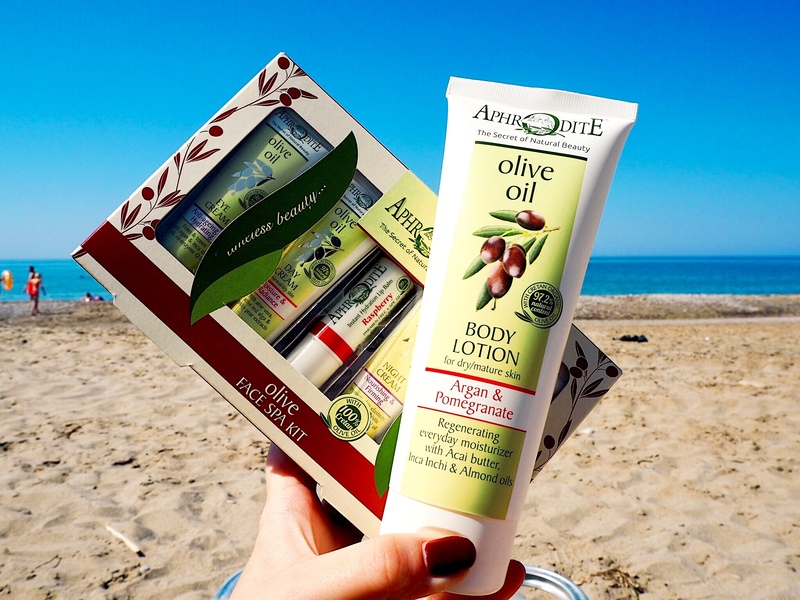 Ooh I would never have thought to look for skincare abroad but these sound delicious, especially the argan oil body lotion!! This looks like such a good find and not too badly priced either! I prefer a scrub that gets right into the skin as well – there’s nothing better! Can’t wait to see your next skincare review!